Established in 1982, Technology Management Int'l (Pvt.) Ltd (Techma) is a Project Management and Consulting Firm registered in Pakistan. Over the years Techma has undertaken a variety of projects in the fields of Oil and Gas, Fertilizers, Petrochemicals, Engineering, Construction, Human Resource and Education. Techma executed several of these projects with its associate companies—collaborations with Industrial Consultants & EPC Contractors from Japan, UK, Korea Europe and the United States. 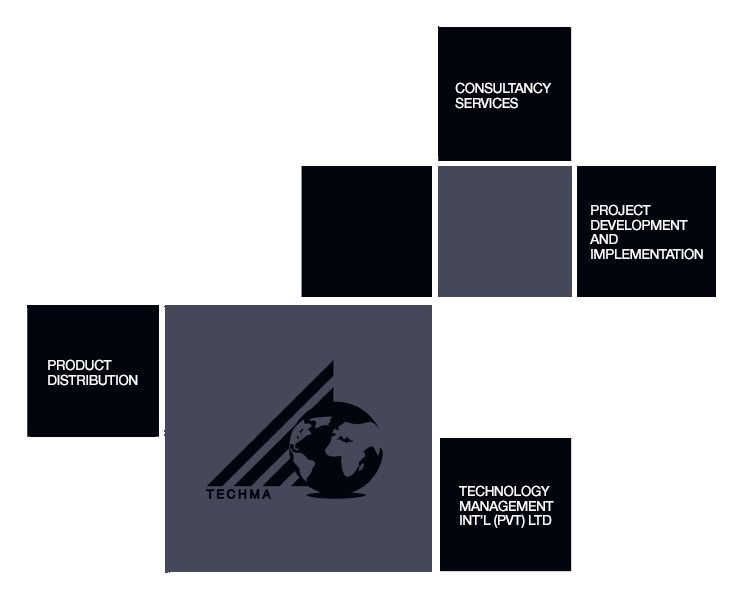 Techma’s core areas of expertise extend to Project Development, Project Management, Market Knowledge through Business Intelligence and Customer Relationship Management. With extensive experience of executing both small and mega projects, Techma employs a lateral management approach—using its intellectual capital to provide it’s Clients consummate managerial support in all it’s fields of service.